“There goes the Punta Mita Air Force,” says Enrique, the Cultural Concierge at Four Seasons Punta Mita, as brigades of brown pelicans and elegant terns conduct a raid on schools of fish just off the shoreline. We’re on the hunt for humpback whales, but not finding any isn’t a major disappointment, not when an osprey with a fresh fish in its claws swoops just overhead. These are the incredible experiences you can expect when you visit Four Seasons Punta Mita with kids (or without)! Being on the same latitude as Hawaii and Japan means Punta Mita, Mexico is where humpback whales seeking warm currents swim and live each November to March. Besides being a mecca for whales, dolphins and sea turtles, this salubrious spot is ideal for families, especially in the early months of the year. Ever wondered what it’s like to stay at a Four Seasons? This upscale resort brand is renowned for its kid-friendly attitude and over-the-top attention to details. 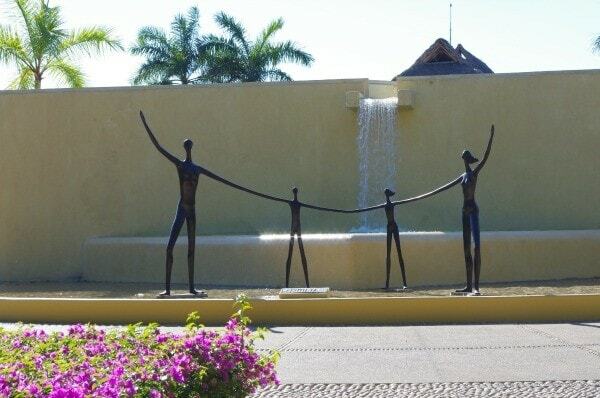 This family focus is evident the minute you arrive at Four Seasons Punta Mita, where a modern sculpture of a family of four is the first thing you spot. Even if hotel guests arrive on the same flight, all guests are taken in individual SUVs from the Puerto Vallarta airport to the resort. You’ll be greeted with refreshing hand towels and a tropical drink (non-alcoholic available) is placed into your hand the minute you exit the vehicle. Thoughtful touches and amenities are what the Four Seasons is known for and, boy, do they deliver. You’ll find bug spray and complimentary sunscreen in your room and water bottles everywhere (though the tap water is filtered and safe to drink). 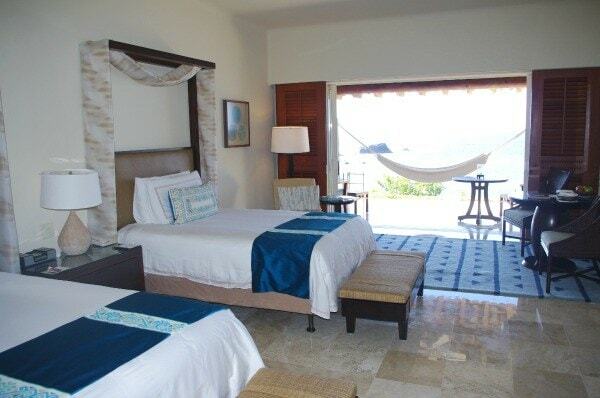 Each guest room comes with its own hammock area and is supplied with fresh fruit daily. The design scheme is neutral in cream, beige and blue. Soothing works of art adorn the white-washed walls. Dark wooden sliding shutters can be pulled shut to ensure wee-ones aren’t woken by the morning sun. Rooms are not flashy, rather they emit a feeling of classic understated elegance sure to make families feel at home. The Four Seasons Kids for All Seasons is one impressive kids’ club. 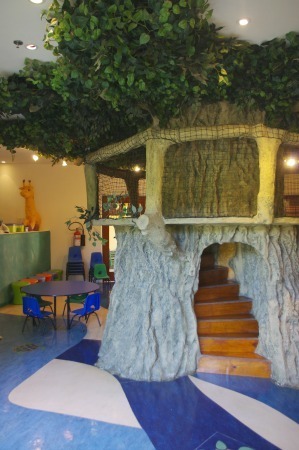 A fantastic tree house greets children to the indoor play space. Loads of bean bag chairs fill the quiet area. Outside, kids have a ball burning off energy on a massive play structure. I don’t think I’ve ever seen so many activities offered by a hotel kids club. Children can go on crab hunts, decorate pancakes, make native Huichol-inspired art, feed the iguanas, and participate in junior golf and tennis clinics. Plus there’s weekly piñata parties. Ole! Kids For All Seasons is open daily from 9 am to 5 pm, for kids ages 5 to 12. Children age 4 and younger are still welcome in the facility, so long as they’re under parental supervision or have a sitter with them (easily secured at $18 per hour). Older kids can chill in a separate, well-equipped game room. The pools at Four Seasons Punta Mita are so spectacular, they made the Travel Mamas list of Best Family Hotel Pools in the World. The Nuna pool is the centerpiece of the resort; a free-form infinity edge pool with views of Puerto Vallerta’s horseshoe-shaped Banderas Bay. Amie O’Shaughnessy of Ciao Bambino said, “The illusion is that the pool extends right into the ocean, particularly at sunset—it’s truly breathtaking.” The pool also offers shallow splashing areas for young children. In addition to the family pool and the adult-only pool, Four Season Punta Mita is home to a lazy river that winds through the property, under a canopy of lush tropical leaves. This lazy river was designed so adults can float around with cocktails in hand while kids pretend they’re bobbing through a jungle. And everyone is protected from the sun. Brilliant! Tacos and mango margarita – muy delicioso! While this resort technically isn’t an all-inclusive, you book a packages that includes all meals. The breakfast buffets at Ketsi are incredibly fresh, with almost every major world cuisine well represented. 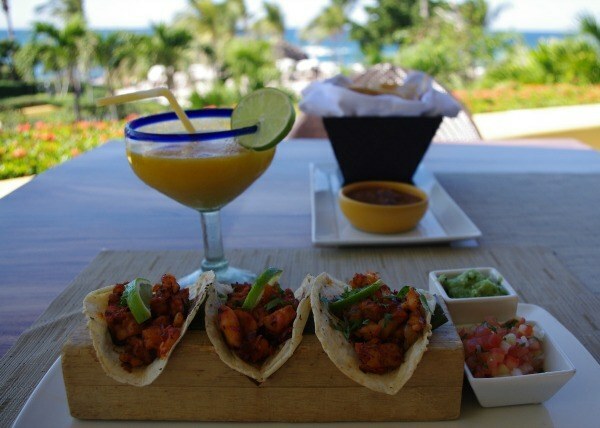 I fell in love with the fish tacos and mango margaritas from this oceanfront restaurant’s a la carte lunch menu. Another good family choice is dining at Aramara, an Asian fusion restaurant that blends Thai, Chinese and Japanese flavors. Char Siu Wings glazed with a scrumptious sticky sauce, practically fell off the bone. You can’t go wrong with the Five Spiced Half Duck, which has been on menu for 14 years. The resort offers a total of four restaurants, three lounges and an on-site deli stocked with munchies, freshly baked goods and liquors available for purchase. Throughout the day, refreshing treats miraculously materialize to delight guests at Four Seasons Punta Mita. 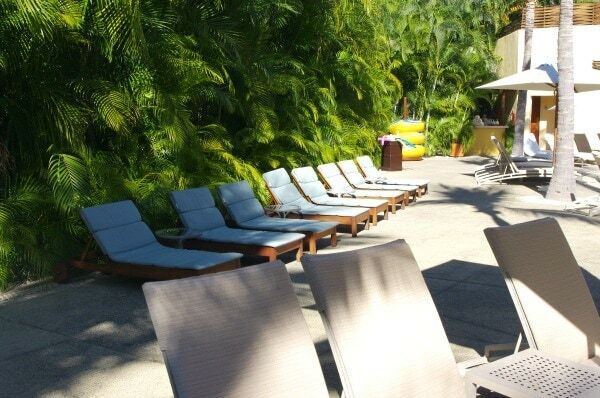 You can set your watch by the homemade gelato and popsicles that appear poolside at 3 pm. Late one afternoon, I was among a lucky group of beach goers who were offered frozen frappacinos…just because! 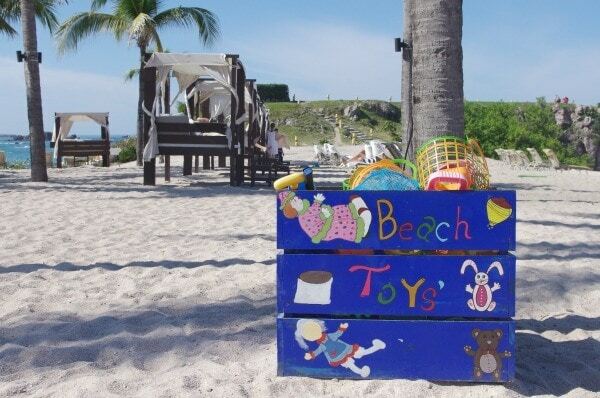 Boxes of beach toys can be found on the resort’s two beaches. There’s even a “Sunglass Doctor” who comes around to clean and tweak your glasses, ensuring they’re in top working order. Despite being in Mexico, there is no mañana attitude here—unless it’s yours. Classes begin on time and golf car shuttles and taxis show up precisely when they’re supposed to. If only my real life ran as precisely as a Four Seasons! Have you ever stayed at a Four Seasons? What did you enjoy most about the experience? Let us know in the comments below! 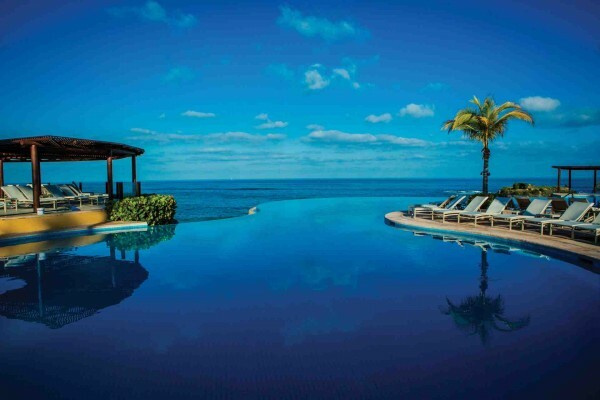 A Note from The Saucy Travel Mama: Thank you to the Four Seasons Punta Mita for hosting my stay. As always, my opinions are my own.